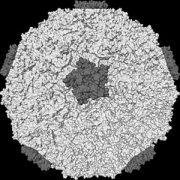 A new study shows that steroids might work for rhinovirus but not for respiratory syncytial virus. Every winter, doctors’ offices and hospital emergency rooms fill with children who have bronchiolitis, an inflammation of the small airways in the lung. It’s responsible for about 130,000 admissions each year. Sometimes these young patients have symptoms reminiscent of a bad cold with a fever, cough and runny nose. Other times, bronchiolitis causes breathing troubles so severe that these children end up in the intensive care unit. Several years ago, Dr. Freishtat says a clinical trial tested using steroids as a potential treatment for bronchiolitis. The thinking was that these drugs might reduce the inflammation that’s a hallmark of this condition. However, he says, the results weren’t a slam-dunk for steroids: The drugs didn’t seem to improve outcomes any better than a placebo. From these nasal secretions, the researchers extracted nucleic acids called microRNAs. These molecules regulate the effects of different genes through a variety of different mechanisms, usually resulting in the effects of target genes being silenced. A single microRNA typically targets multiple genes by affecting messenger RNA, a molecule that’s key for producing proteins. Their findings eventually turned up important differences between the two viruses in the NF-kB (nuclear factor kappa-light-chain-enhancer of activated B cells) pathway, a protein cascade that’s intimately involved in the inflammatory response and is a target for many types of steroids. 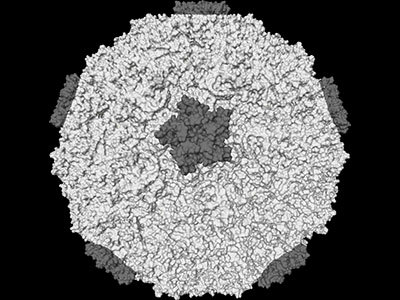 Rhinovirus appears to upregulate the expression of many members of this protein family, driving cells to make more of them, and downregulate inhibitors of this cascade. On the other hand, RSV didn’t seem to have much of an effect on this critical pathway. Based on these findings, published online Jan. 17, 2018, in Pediatric Research, steroids might work for rhinovirus but not for RSV, notes Dr. Freishtat the study’s senior author. “We’re pretty close to saying that you’d need to conduct a clinical trial with respect to the virus, rather than the symptoms, to measure any effect from a given drug,” he says. Study co-authors include Kohei Hasegawa, study lead author, and Carlos A. Camargo Jr., Massachusetts General Hospital; Marcos Pérez-Losada, The George Washington University School of Medicine and Health Sciences; Claire E. Hoptay, Samuel Epstein and Stephen J. Teach, M.D., M.P.H., Children’s National; Jonathan M. Mansbach, Boston Children’s Hospital; and Pedro A. Piedra, Baylor College of Medicine.